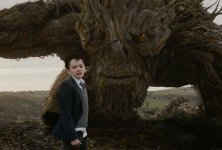 A Monster Calls release date was Friday, December 23, 2016. This was a Limited in theaters release. Friday, January 6, 2017. This was a Nationwide in theaters release. 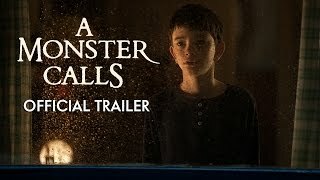 Follows 12-year-old Conor (Lewis MacDougall) who attempts to deal with his mother's (Felicity Jones, who stars in Focus’ fall release The Theory of Everything) illness and the bullying of his classmates by escaping into a fantastical world of monsters and fairy tales that explore courage, loss and faith. 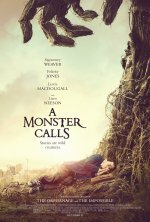 Based on the award-winning children's fantasy novel by Patrick Ness (the "Chaos Walking" trilogy). Liam Neeson will star in performance-capture and voiceover as the nocturnally visiting monster of the title. The creative team on A Monster Calls also includes production designer Eugenio Caballero, an Academy Award winner for Pan's Labyrinth who previously collaborated with the director on The Impossible; costume designer Steven Noble (The Theory of Everything); and cinematographer Óscar Faura, who shot both The Impossible and The Orphanage for Mr. Bayona.